All you need is the Silver pass for 5 months ($200/month from Oct to Feb). 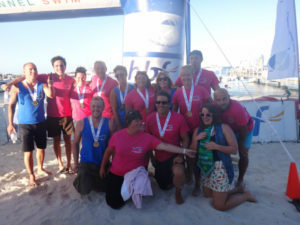 The Rottnest preparation program is designed for both solo and relay swimmers. 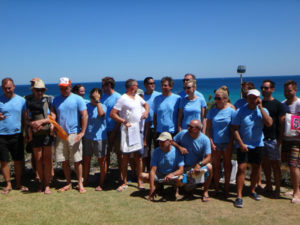 Your squad sessions and preparation meetings provide a valuable opportunity to connect with swimmers who have completed the Rottnest Channel previously. There is great comradery among our Vladswim team members and one of the benefits of this is sharing knowledge and offering each other support. What will my swimming week look like? The Vladswim program for Rottnest includes four 1.5-hour pool sessions with an average distance of 5-6km per session and one longer open water swim at various Sydney beaches. The overall swim distance per week ranges from 15km to 35km per week depending on the week of preparation. 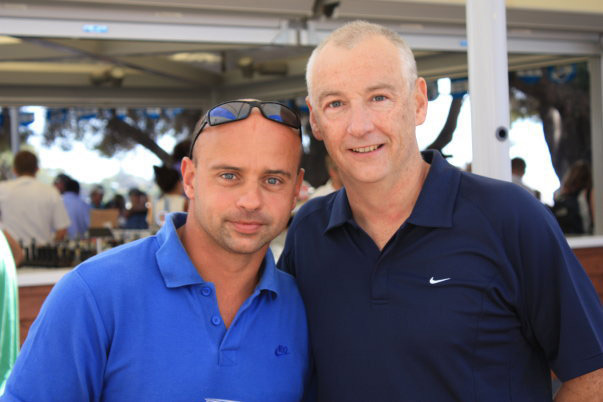 Vladswim has participated in the Rottnest Channel Swim since 2010 but how did it all begin? 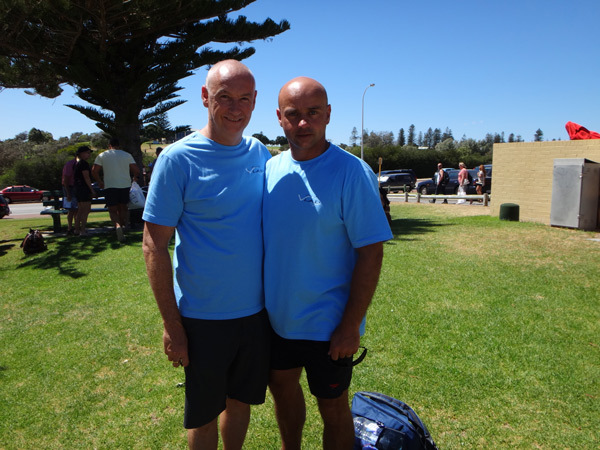 Louise Stevenson took her coach, Vlad Mravec, to Perth to attend one of the biggest Open water events in Australia, the 20km Rottnest Channel swim. 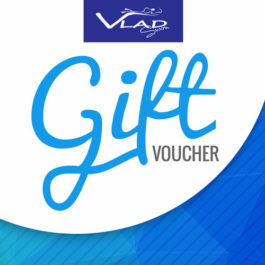 At the time, the Vladswim program was in its infancy with its aims yet to be worked out. Louise, under Vlad’s guidance and support as her paddler, had an extremely successful swim utilising a great catch and strong mind to finish first female and 5th overall swimmer in a time of 5hrs 7mins. 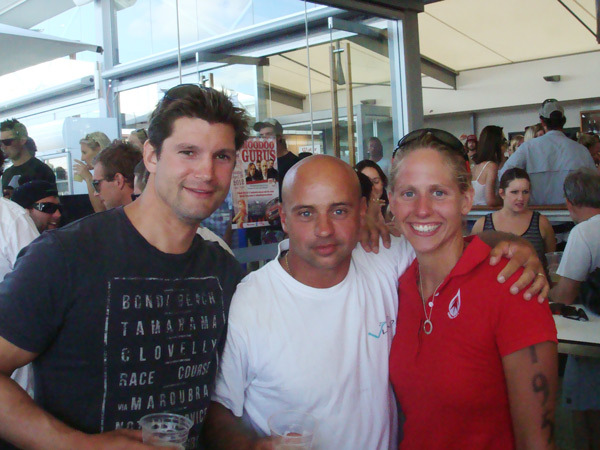 Also participating for the first time that year were Duncan Adams, Nicola Davidson and Scott Miers who initially stared training for the event with separate clubs (Hert, Be a Sport) but joined Vladswim closer to the race of which they are still members today. 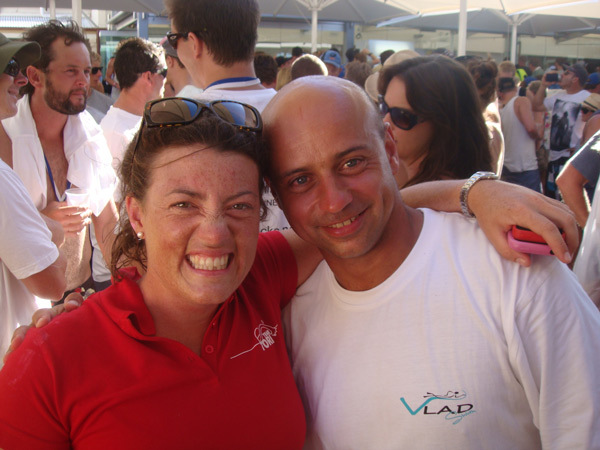 Vlad and Louise returned to Cottesloe Beach in Perth the following year to again take part in the Rottnest Channel. Sadly, this coincided with a huge Earthquake in Christchurch - Louise’s hometown in New Zealand. Louise was spurred on by the emotion of the time to push herself even harder than the year before to cross in a time of 4h 56min, which placed her as first female again and 3nd overall swimmer. Several other Vladswim members also participated Tori Gorman as a solo swimmer, and Alistair Newmarch, Wayne Arthur and, Marcus Ritchie in a relay team. This year saw some of the faster swimmers from Vladswim participate in the sole event with Iain Melhuish finishing 3rd overall in time 4h47min. Of the 13 solo swimmers who travelled to Perth with coach Vlad, 5 used the race as part of their English Channel preparations - Justin Hanby, Tara Diversi, Peter, Marty Filipowski and Tori Gorman. The first family team – the Gorman Duo comprised of Chris and Annabel - represented the breadth of the Vladswim group and culture. Vladswim participation almost doubled with 23 solo swimmers taking part in the race. There were similarly large results with Zoe coming second fastest female in 4h54min and Tessa a very close third female in 4h 55min, both times being under 5 hours was fantastic. The large number of Vladswim members who paddled for their fellow squad members is testament to the friendship and power of the Vladswim community. 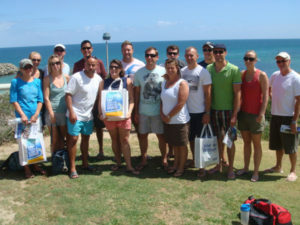 And after only 4 years, Vlad’s program has been recognised by other open water swimmers and coaches in Australia. Tough conditions, 1.5 – 2m waves, wind 20-25km/h. 56 swimmers didn’t finish and two boats sank during the swim. 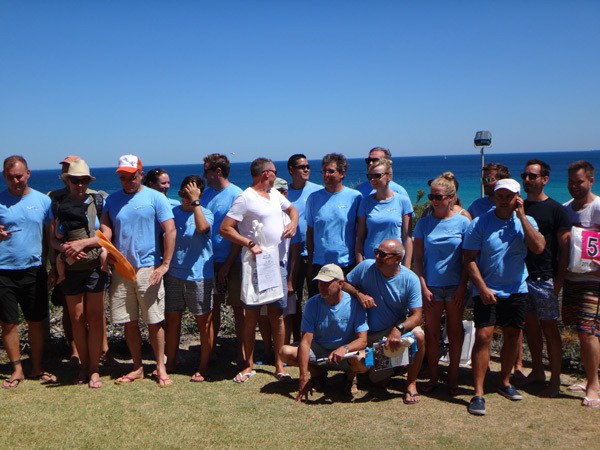 This is a brief description of the Rottnest swim 2015. But Vladswim swimmers were not discouraged by this, all swimmers successfully finished and they can be proud of themselves. Congratulations to the great achievement. What a fantastic day with perfect surf conditions, warm water and air temperatures and an exciting event atmosphere. 2500 swimmers registered for the 2016 swim, of which 19 solo swimmers and 10 relay and duo swimmers were from Vladswim. Even more Vladswim swimmers came to support their friends during the 20km event. The Race was won by Ben Freeman in a time of 4hours and 18min. Ben is from Canberra and he is one of the English Channel swimmers from 2015 who attended our Cold Water Camp in Melbourne. Congratulations Ben! 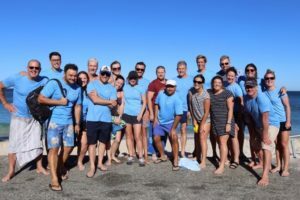 Rottnest Swim 2017 again surprised participants with unpredictable surf conditions and a strong current. This current was so strong it pulled both boats and swimmers towards the north. Some competitors were stuck in 1 spot because the current was so strong they couldn’t move against it. No-one had predicted the change in conditions, and those who were slower to spot the change were pulled quite far off course. Another fantastic swim in Western Australia has been and gone. 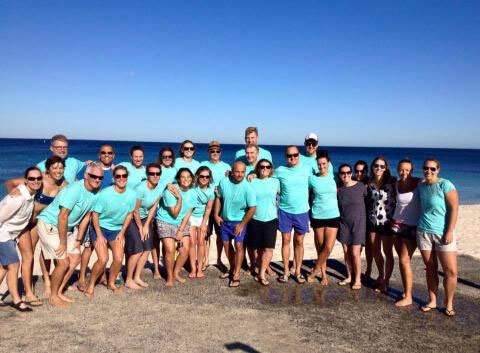 This year’s Rottnest swim will be remembered for the fast swim results and a visiting shark. Indeed, 2018 clocked record breaking swim times for the solo male and team categories. Solomon Wright set a new course record by being the first person to break the 4 hour barrier in a stunning time of 3hours:59 min. Team Tommy Bay broke the male team record from 2004 by more than 6 minutes. Olympic swimmer Heidi Gan was the fastest solo female finishing in a time of 4hours:21min. The results of the swim were unusual: from 322 solo swimmers, 56 swimmers didn’t complete it, 14 swimmers took over 10 hours, 44 swimmers took over 9 hours, 29 swimmers took over 8 hours and 52 swimmers took over 7 hours. Whilst everyone at Vlaswim felt the strong current, most were able to complete it. 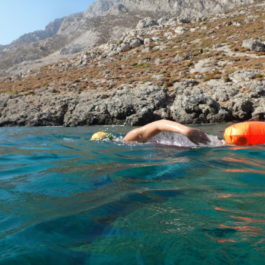 For some, it was their longest swim ever – a fantastic achievement, given that swimming for over 10 hours requires good preparation and a positive mind. The fastest Vladswimmer was Emily Miers who, for was last 3 months was coached by Rob Fernandes and DRLC. She improved her swim time from 2015 by 40min. the Second finished Justin Hanby was the second fastest Vladswim in 5:41 and Scott Miers, Emily’s Dad, came in 3rd in 5:51. From Vladswim, we had five swimmers who broke the 6-hour mark. The fastest swimmer was Justin Hanby in a fantastic time of 5h 27min, followed by Emily Miers (6th female overall) and her father Scott Miers (9th male overall). Great swimming! Another nine solo swimmers completed the swim in under seven hours. In the team category, Tori Gorman and Paul Whittingham gave themselves a wonderful surprise finishing the swim in 5hr 33min and placing third in their category! 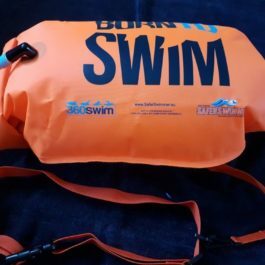 Our preparation for the swim brought great results and everyone learnt something in training and on the day - how to be consistent during the preparation, how to pace with another swimmer, how to achieve our goals and also have fun. Thanks to all of the Vladswim team for such great teamwork and spirit and congratulations to everyone on their results. Our preparation for the swim brought great results and everyone learnt something in training and on the day - how to be consistent during the preparation, how to pace with another swimmer, how to achieve our goal but also have fun. Thanks to all of the Vladswim team for such great team work and spirit and congratulations to everyone for their results.